Access to working capital is necessary for small businesses to grow and thrive. Sadly, banks turn down a large percentage of businesses who apply for a loan or line of credit. Thankfully, financial entrepreneurs have stepped up to the challenge to help businesses with the financial support they need. 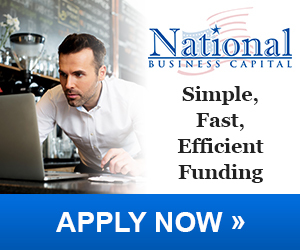 Small business financing is available to a large number of small businesses. The word “alternative” understandably may make individuals a little nervous about applying for financing through non-bank financial institutions. And of course, shrewdness is a good quality for any business owner. But don’t let the word “alternative” cause you not to get the financing you need. “Alternative” just means you have more than one option to choose from. Over the past few years, more stringent regulations and the cost of lending small amounts of money have made it difficult for small businesses to get the loans they need from banks. The truth is though that what you cannot get through the front door of the bank, small business financing is available out the back door. Many of the alternative financial institutions are backed by banks. Others are backed by investment groups, investment funds, and even private money. But talking about the “back door of the bank”, let’s consider an example that most can identify with. An 18 year old boy wants to buy his first car. He goes to the bank for a car loan. Even though he has a job, he is turned down for the loan because of his limited credit history. Up steps his dad to cosign the loan. All of a sudden, he qualifies. Not because of his own merit, but because of his dad’s. Many alternative financing institutions are able to provide financing supported by banks because of their own excellent credit history. In addition, they are borrowing millions of dollars instead of the thousands of dollars that most small businesses need. That is more profitable for the banks. Alternative financing sources are able to offer more varieties of funding products than banks. Some of these products have been around for many decades; others just for a few years. Financial entrepreneurial businesses have done what other successful businesses have done. They have developed products and programs to meet the current needs of their customers. Banks in general do not have the ability to adapt to the current needs of businesses. Alternative funding sources mainly look at the current sales history of businesses rather than just be focused on credit history. This allows business owners with low credit scores to get the funding they need. Past issues are not a major concern. What are you doing now? Can current sales support the funding you are asking for? How will the funding you are asking for is going to help your business? Those are the important questions. Some types of alternative financing don’t even incur debt or helps you to keep more of the working capital you already possess. As with all industries, there are unscrupulous people out to take advantage of others. The same is true in the alternative financing industry. People, companies, trying to get rich quick at the expense of others. Thankfully, unscrupulous lending companies normally do not survive. This is because in their greed, they lend out more money than they get back. That business format does not work very long in the lending industry. Assured Capital Funding, LLC works hard to work only with financial institutions that have a history of honest practices. In addition, financial institutions that can customize their products to fit the needs of an individual business, not just businesses in general. If you were to search for alternative financing institutions, you would find hundreds online. By far the majority of them would be respectable companies to deal with. Assured Capital Funding, LLC was formed to aid in small business financing. We have narrowed the field down to just a few institutions that allows us to offer a variety of financing products that works best with a variety of businesses. These products include factoring for a variety of business industries, equipment leasing, unsecured small business loans, lines of credit. Even financing for commercial real estate and the purchase of businesses. Our blogs, and website, will help business owners to understand the options that are available to their business type. Some businesses will be able to take advantage of several financing products that will help them to grow and thrive and hang on to more of their own working capital. Our goal is to help businesses of all sizes, needs, and circumstances to get the working capital they need that will help them to concentrate on making their business a success. Successful businesses help to support successful communities and supports individuals and families in those communities. Our mantra is “Funding Business, Funding Growth, Funding Jobs”. Hopefully, we can support you in your financial education and your business. Feel free to comment on our blogs and reach out to us for support. May you be successful in your business endeavors! Want to incorporate? I recommend CorpNet. They were professional, knowledgeable, and inexpensive in helping me set up a LLC.